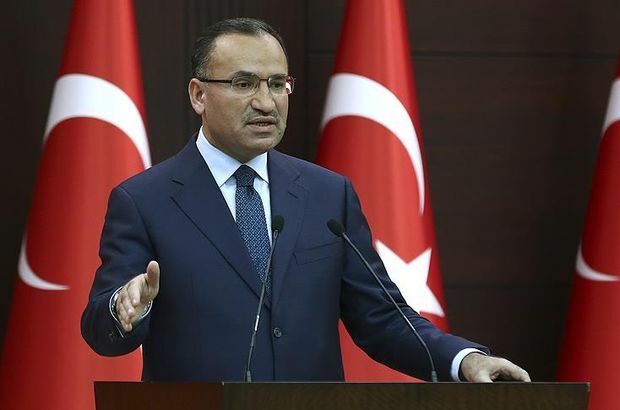 Turkish government spokesman and Deputy Prime Minister Bekir Bozdağ said that, despite reports, there are no official confirmations that Syrian regime forces are moving into Afrin, a Kurdish enclave in northern Syria near the Turkish border. "The news that Syrian regime forces are planning to enter Afrin has not been confirmed by the official authorities. It is not true," said the Deputy Prime Minister. Bozdağ said that "the ramifications of the Syrian government considering and moving its forces to the region to protect the PYD, YPG terrorist organizations would lead to a catastrophe for the area." Talking about the U.S. Secretary of State Rex Tillerson's visit, Bozdağ said the parties had negotiated all matters concerning both countries, and especially the east of the Euphrates where the U.S. soldiers are located in their effort to help local groups, including PYD, in their fight against ISIS. Bozdağ said that the Fethullahist Terrorist Organization (FETO), the group the Turkish government accuses of organizing the 2016 coup attempt, was also discussed during the Tillerson meeting. He said three separate workgroups would be created; for Syria, for Iraq and another one to negotiate the extradition of Fethullah Gülen, a U.S. based Islamic cleric based in the U.S. and assumed to be the leader of FETO by the Turkish government. The work groups will have their first meetings in Washington on Mar. 14, Bozdağ said, adding that Turkey, Russia and Iran were planning to organise a trilateral summit in Turkey. "Despite differences on certain issues," the government spokesperson said, " we will continue working with Iran and Russia. We are resolute in our commitment. We will continue the operation until we remove the threat over our country."